HPREP is an outreach program that provides Arkansas high school students with the opportunity to prepare for college, gain exposure to various career paths in health and interact with students, faculty and staff of this academic health center. HPREP accomplishes SNMA’s mission of supporting current and future health professionals from underrepresented backgrounds. Q. What is the HPREP? A. The HPREP is a mentorship program sponsored by the Student National Medical Association. It exposes high school students to science-related activities. 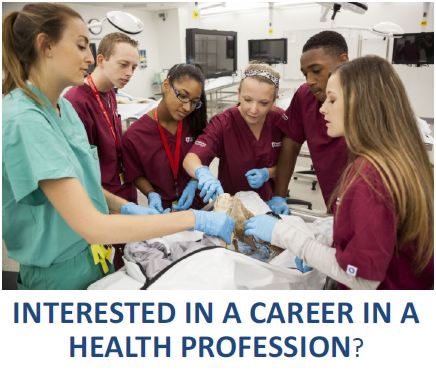 The HPREP also teaches students about specific career fields and the steps needed to become a physician or other healthcare professional. Q. What is the Student National Medical Association? A. The Student National Medical Association (SNMA) is the nation’s oldest and largest organization focused on the needs and concerns of medical students of color. Students at the Howard University College of Medicine and Meharry Medical College established it in 1964. Membership includes nearly 5,000 medical students, pre-medical students, residents, and licensed physicians. Local chapters based at allopathic and osteopathic medical schools throughout the nation implement SNMA programs and activities. Q. Who is eligible to participate in HPREP? A. We are specifically targeting Underrepresented Minority (URM) students (African American, Hispanic American, and Native American) in the 9th, 10th, and 11th grades. Q. When and where will we meet? A. We will meet on Saturday, February 23, 2019 from 09:00 AM to 3:30 PM on the UAMS campus in Little Rock. Participants will be responsible for their own transportation to the UAMS campus. Q. What will we do on meeting day? A. The session will consist of presentations by a healthcare professional, current medical and pharmacy students, and a college prep advisor. There will also be a small group/mentoring session and hands-on activity. Lunch will be provided. Application Deadline: Submit online application by February 10, 2019. Applicants will be notified of their acceptance and provided with directions to the HPREP program by mail and email during the week of February 18, 2019.